The Temptations are the most important soul group of the last half century. They're also the most maddening. It is impossible to talk about the development of soul music since the early 60s without repeatedly coming back to the Temptin' Tempts. In the 60s they redefined the soul group, from the impeccable look they brought to the stage, to their focus on group choreography, to, most importantly, the immediately identifiable 5-part group harmony they mastered. Every major soul group since 1965 owes a huge debt to the Temptations, and most acknowledge it. The Temptations have also been a pretty constant source of frustration to their fans. There have been around 25 Temptations, and the group has been a virtual revolving door for the past two decades. Sole remaining original member and undisputed group leader Otis Williams has fired more people than General Motors, resulting in lawsuits, hard feelings, and a plethora of Temptations knock-off groups led by former members, including Dennis Edwards, Ali Ollie Woodson, Damon Harris and Richard Streets. Formed in Detroit in the early 60s from two rival groups, the Temptations worked the local talent shows with a lineup of Eldridge Bryant, Otis Williams, Paul Williams, Eddie Kendricks and the group's true vocal anchor, bass singer Melvin Franklin. By the time they landed at Motown with their first hit in 1964, Smokey Robinson's "The Way You Do The Things You Do," Bryant had been replaced by David Ruffin, and the most famous version of the group was in place. Led by Ruffin's gruff, passionate baritone and Kendricks' soaring falsetto, the group scored one classic hit after another over the next several years, including "My Girl," "It's Growing" and "Since I Lost My Baby." They also became the flashpoint for battles among the Motown songwriters, with Norman Whitfield ultimately replacing Smokey as lead group writer and providing such memorable cuts as "Beauty's Only Skin Deep," "I Wish It Would Rain" and "I'm Losing You." But at the height of the Temptations' popularity, internal friction threatened to combust the group. Growing egotism by Ruffin (including a desire by Ruffin for top billing) led to resentment by the rest of the group and ultimately to his firing by the Tempts in 1968. Ruffin would have a tumultuous career and life after that, ultimately dying of a drug overdose in 1991. With the group lineup temporarily stabilizing (with former Contour Dennis Edwards replacing Ruffin at lead), Whitfield took the group through a new phase and string of hits, replacing the traditionally smooth Tempts sound with a funkier, Sly Stone-influenced sound that fit Edwards' voice beautifully. "Cloud 9," "Runaway Child" and "Can't Get Next To You" continued the group's dominance of the pop and soul charts. However, more changes were coming. In 1972, Kendricks left the group to pursue a moderately successful solo career ("Keep On Truckin," "Boogie Down"), and Paul Williams, battling illness and substance abuse, committed suicide. And while new members Damon Harris and Richard Streets were clearly talented replacements, the group's peak was behind it. The Temptations continued to chart at lower levels through the mid-70s, but Whitfield's magic ultimately wore out, and a number of subsequent mediocre albums with Jeffrey Bowen and other Motown producers completed the group's slide. Frustrated with their lack of hits and their treatment by Motown, in 1978 the Temptations (minus Edwards and Harris) left for Atlantic Records, recording two unsuccessful albums (one, Hear to Tempt You, recorded with Philly stalwarts Baker, Harris and Young, was actually a good updating of the group's sound to meet the disco market) and seemingly on the way to the oldies circuit. Then Berry Gordy convinced the group to return to Motown in 1980 and took personal control over their return album, Power. With Edwards in tow, the Tempts stormed back with a wonderful album and went on a successful nationwide tour in support of it. They then wowed fans in 1982 by staging a reunion tour with Ruffin and Kendricks, but old problems among the members again arose, and the reunion was short lived. Edwards again left the group in 1984 and was replaced by former Blue Note Ali Ollie Woodson. The arrival of Woodson and falsetto lead Ron Tyson seemed to reinvigorate the group, and, working with former Earth Wind & Fire guitarist Al McKay, they released Truly For You, their first great album in a decade (and one that they haven't matched since). They followed with the solid To Be Continued, but began another slow quality decline as they entered the 90s. Sadly this was also the time of the death of Melvin Franklin, arguably the heart of the group. Apparently unable to adjust to the changing sounds of popular music, in 1995 the group found success going the other direction, releasing For Lovers Only, a wonderful album of standards produced by Richard Perry. Unfortunately, in 1996 the group changed again, with three members departing, leaving only Otis Williams and Ron Tyson. Unexpectedly, things exploded again for the group in 1998, as the TV miniseries adaptation of Otis Williams' autobiography captured the nation and the group released Phoenix Rising, a fine album that bridged the traditional Temptations sound with modern beats and arrangements. It became the group's biggest album ever. Their subsequent albums, Ear-resistable and Awesome, were not as compelling. In 2004 the group released Legacy, their first album with new lead singer G.C.Cameron and bass singer Joe Herndon. They followed it two years later with Reflections, an album of soul remakes that received mixed reviews. Cameron left in early '07, replaced by Vegas showman Bruce Williamson. The group then released its second consecutive "covers" album, titled Back To Front, in Fall of '07. It was a surprisingly strong album with both fine song selection and hot production by Steve "The Scotsman" Harvey and Benjamin Wright. 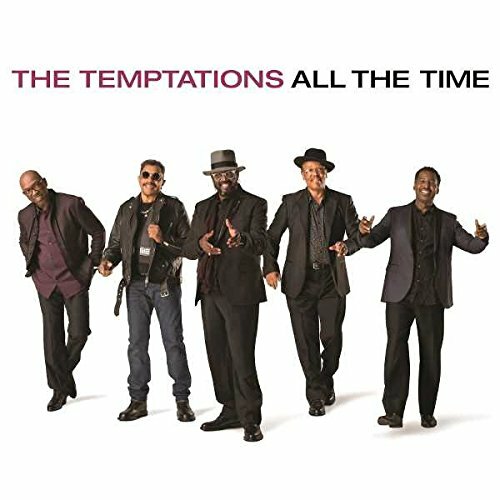 After nearly a three year hiatus, the Temptations returned in 2010 with an album of all new material, appropriately titled Still Here. More changes occurred in 2015, as Williamson was replaced by former Tower of Power singer Larry Braggs and Joe Herndon was replaced by Willie Greene. The Temptations continue to tour internationally, both individually and teamed with other classic soul groups.